That heli never flew with that paintjob, it was applied after it went to the museum. It's a complete fantasy, no other aircraft carried it either. Does anyone have any other photos of these Mig-21s? I understand that up to mid 80's there were about 48 of them operational with Russian, Cuban and a few other nations pilots. Does anybody know the code above the flag on the fuselage of this Liberian Mi-2? Images of Liberian aircraft and helicopters are quite rare. Does anybody have any additional images? I have a Cessna 206, but little else. Thanks. Last edited by gkozak; 9th May 2011, 03:12. I have read rumors regarding Mi-8s/17s and Do-228s operated by Bhutan, marked with the circular roundel below. Can anybody confirm this? Also, I have read about two MiG-17Fs operated by Equatorial Guinea in the late-'70s/early-80's. One of my sources informed me that he had seen a profile of one in natural metal finish, with the national flag on the fin and a red bort number on the nose. Is there any truth to this? Last edited by gkozak; 11th January 2011, 23:58. Lockheed Martin Boeing F-22 Raptor: World's largest distributor of Sukhoi parts!!! Great! What's next? RAF? USAF maybe? A friendly advice mate: look back trough the thread, see what kind of "small" air forces pictures we post. You certainly won't find NATO F-16. As I've said on the previous page, stuff that you can find in the hundreds on every aviation photo site does not fit the purpose of this thread. 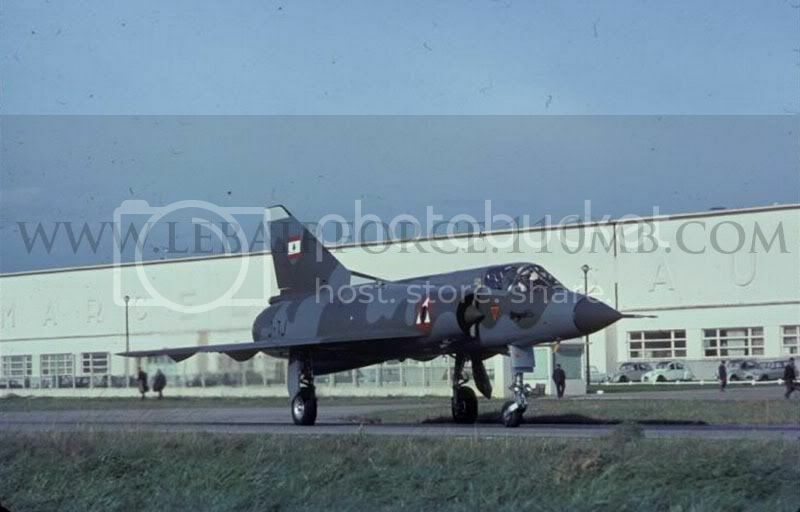 Lebanese Air Force Mirage III. South Africa might cancel A400M but wants maritime aircraft. South Africa's Parliamentary Portfolio Committee on Defence is currently investigating the consequences of the delay in the Airbus A400M production schedule. Hard questions are being asked about the deal which may face cancellation due to costs more than doubling. Meanwhile the SAAF have announced a requirement for an all new Maritime Patrol and Surveillance fleet. The requirement is for five long-range Patrol aircraft armed with anti-surface and anti-submarine weapons. A further 8 smaller unarmed Surveillance aircraft are required for policing the EEZ. Further details posted on a SAAF related web forum has revealed that CASA 295's are the unnoficial "pre-race favourites" in the long-range, armed role and Beech King Air350ER's (probably equipped with optronics suites) for EEZ surveillance. The SAAF currently operates 11 C47TP "TurboDaks" in a limited MR role but these WW2 vintage aircraft are due for retirement by 2014. Last edited by Dodger67; 15th October 2009, 18:43. I don't know if this exactly qualifies as a small air force, but it's pretty strange, nonetheless. The Aum Shinrikyo cult (the nuts that released Sarin in the Tokyo subway system in 1995) obtained an Mi-17. I believe the characters on the tail boom include the "aum" symbol, but I am not certain. As part of the SADC Forces at Lohatlha was this Bell UH-1 "Huey" from Zambia. I've sure I've seen (and saved) another angle of this helo - will did through my archives. Gentlemen, you can't fight in here, this is a war room! Very nice- thanks! Do you know if it has a fin flash? guys, this is a very rare and unique Iranian phantom... because it´s a IRIAF F-4E with a sharkmouth..!! Why is it so rare to see Sharkmouths on Iranian planes? Is it because the depiction of animate objects (people, animals) in any art form frowned upon, if not forbidden, by many Islamic authorities who regard it as a false form of Idolatry? Last edited by Levsha; 17th October 2009, 13:50. Why don't you ask around some of webmasters running Indian AF themed websites on internet? That should be the fastest way to get anything that is Bhutanese. since they're heavily dependent on India militarily. Who knows? they'd dig up some interesting article published in Indian AF magazine, blazing the Indian AF feat of donating a second-hand Do-228 to the Kingdom of Bhutan. Last edited by Cy24driver1; 17th October 2009, 20:38. All times are GMT. This page was generated at 05:46.